Countdown to our impending visit to the SouthAustralia and the rolling Adelaide Hills, the maritime influenced McLaren Vale and the iconic Barossa Valley, here’s a quick Rosé battle royale from 2 neighbouring districts: The Mediterranean climes of McLaren Vale, with the welcoming sea influence to the more elevated and inland position of Adelaide Hills. The colour of a child’s “strawberry soap” the nose not quite so confectionary. Red fruity! Quince paste, bottom of the punnet strawberry, strawberry tart ( the biscuit) and just a savoury whiff of spicy sweaty Kimchi. Crisp but not too crunchy. Sangiovese fruit sweet but not too sugary. Strawberries and Cream palate supplemented by very light raspberry coulis and as per the nose, tart quince flesh. Fresh and light in body with medium acidity. Lacking a little complexity for my personal choice of Rosé, it does exactly what it says it does on the label and certainly has its place on a table over lunch. And at $20, maybe even accompanied with a 2nd bottle to make sure. Want to know how different skins of red grapes can span most spectrum of the rainbow? Look no further than the difference between these two. 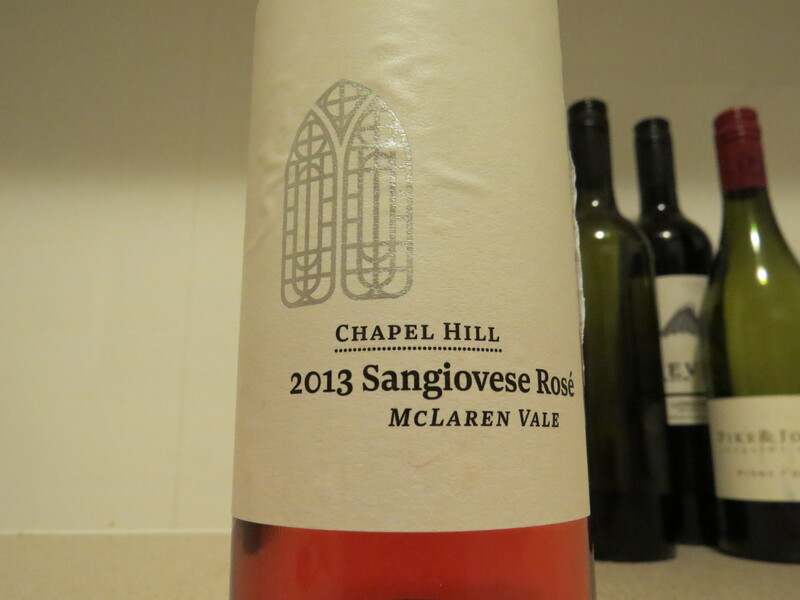 Whilst the Chapel Hill Sangiovese Rosé was bright (but not sickeningly electric). 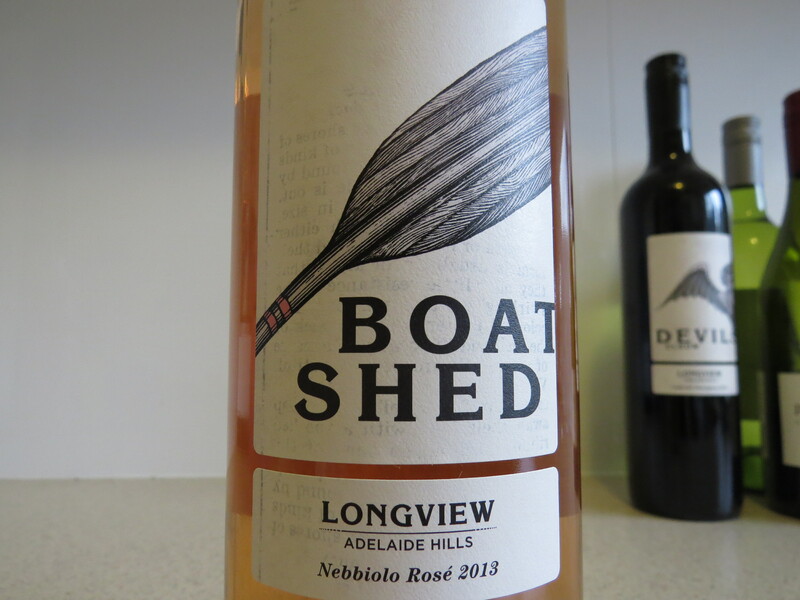 This Nebbiolo rosé is a true dusty peach (thanks to my insightful wife Nadine for the exact wording) in the glass. More stone fruit blooms from the glass : Peach ice tea, peach fuzz, savoury maple, earthy corn husk and just a little bit of red-fruit sweetness. Nebbiolo tartness with medium acidity. Great balance of savoury tarry/rubber to off-set the young cherry-esque fruit. Just medium bodied, there’s decent length and enough structure to handle an oregano rubbed butterfly lamb shoulder on the barbeque. The smoky, crisped edges of pink juicy lamb perfectly counterbalanced by the freshness and cut through of the Nebbiolo. Excellent value.